A good shop is one you can step into and immediately loose yourself in a miscro-cosm of expertly-designed products, soft lighting and exquisite visual merchandising. An all-encompassing place that presents the consumer with a concept or lifestyle ready for them to explore. That is why we are very proud to say that Peregrine Clothing is now stocked front and center in 'Lost in Pablos'; A newly-opened haven of refined, smart-casual attire for the modern man. 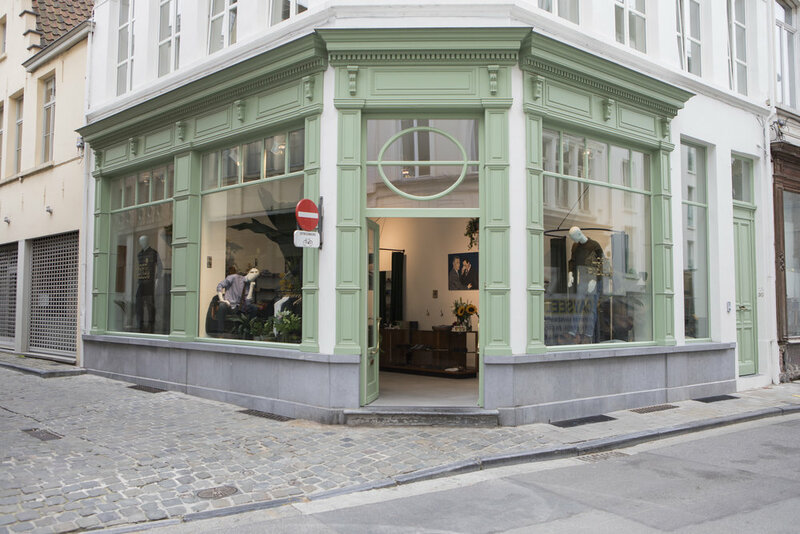 The lifestyle store sits on a beautiful street corner in Gent, Belgium - like an emerald among the cobbles. Inside is a careful selection of understated but well-crafted products from brands sourced all over the globe. Where does the name 'Lost in Pablos' come from? I picked the name out of a dream I had a few years ago. It was a dream about my own store in the sixties, and on the window was written "Lost in Pablo & los camicas"
The name is as absurd as the story, but this is how it went. And the name stuck on me, I kept using it and it fit's in my concept: jungle-ish and not to serious. Besides, my fathers name is Paul, which is the same as Pablo in Spanish. So I also call it a homage to my father. What made you want to open a Men's concept store? After studying fashion design and CAD CAM for fashion/textile education, I have gained over 13 years’ experience in menswear retail, selling men’s suits and casual men’s clothes. Whilst working in retail, I was an assistant buyer at a multi-brand menswear shop and became an experienced made to measure tailor. It became a passion to dress men to their best, and I felt ready to use the considerable experience I’ve gained at my very own store ‘Lost in Pablos’. 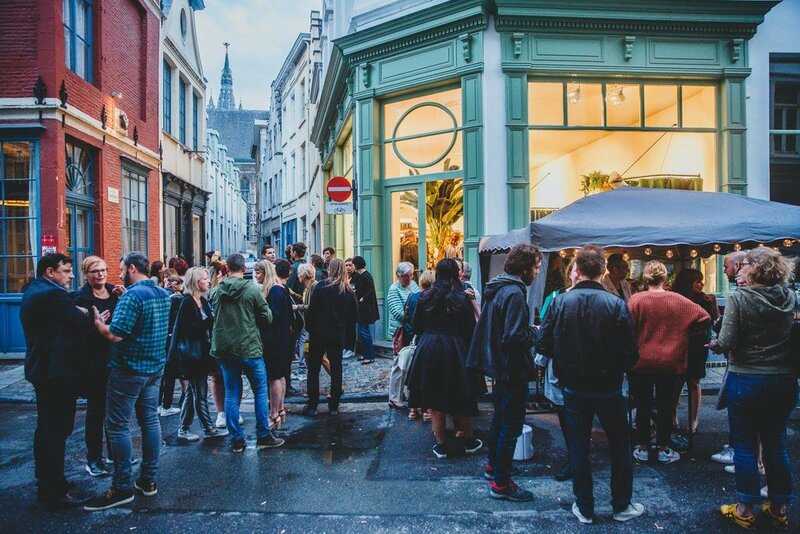 The shop is a blend of personal passions, an artistic place full greenery where you can find sustainable pieces with an eye for aesthetics. Mainly clothes of course, but also furniture, collages and paintings. What is your favorite piece from Peregrine AW17? I am a big fan of the Funky jumper. That was also the piece that attract my attention at the Peregrine stand at the show in Berlin. And I am glad it did, it was the first piece that was immediately sold out in my shop! Not only the quality of the wool, but the color contrasts and not to miss; the Harris tweed on the shoulder pads = love it! Describe the 'Lost in Pablos' man in 3 words? The store has been open for a mere few weeks but is already attracting alot of attention and why wouldn't it? We know we could while away a Saturday afternoon rifling through rails of clothing under the tropical leaves if we were local. A big congratulations to Lisa and the team on their opening night and we look forward to working with you for many more seasons to come!